The IEEE International Conference on Communications (ICC) has been the flagship event of the IEEE Communications Society since 1965. The IEEE Ottawa Section is proud to host IEEE ICC 2012 Conference, Industry Forums and Exhibition from 10-15 June 2012 at the newly Ottawa Convention Centre which is located on the scenic banks of the Rideau Canal and embedded in the cultural center of Ottawa, the Canada’s beautiful capital city. The ICC 2012 is expected to attract and bring together thousands of the world's industry leaders, scientists, academics, engineering professionals, policy makers, and government officials to the presentation of nearly 1,500 keynotes, business panels, technical papers, workshops and tutorials held under the theme of the conference is "CONNECT • COMMUNICATE • COLLABORATE". For participants it promises to stimulate the scientific exchange of ideas, the identification of future trends in communications, and the illumination of business opportunities. As part of the technical program, the conference also has 27 Technical Workshops, and 12 Tutorials. The conference also offers a workshop on humanity and technology. Also, the conference hosts a large Exhibition where participants they have the opportunity to visit and learn about the newest and latest cutting edge technology. Therefore the focus of IEEE ICC 2012 is to bring the industry and academia to meet and discuss the trends of the of the communications market. The Ottawa region is an ideal location for ICC 2012. It is not only the hub of the Canadian government but it is also a core Canadian centre for high technology and referred to Silicon Valley North. There are more than 1,800 companies in the area of software, telecommunications, photonics, semiconductors, defence and security, wireless technology, and many others. It boasts the highest level of R&D spending per capita in Canada. 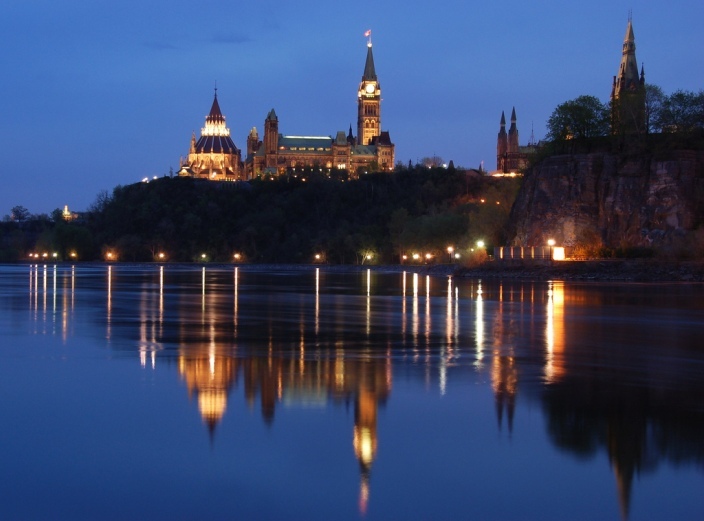 Come early and enjoy your stay in the National Capital and Canada’s hub of technology innovation and creativity. The IEEE Ottawa Section founded in 1944 and has over 2200 members, and is the large and most active of IEEE Canada's 20 sections. Ottawa Section has 18 IEEE chapters, 4 affinity groups, 3 student branches, and 12 committees.